The EU/USD currency pair continues consolidating near the level of 1.3520. 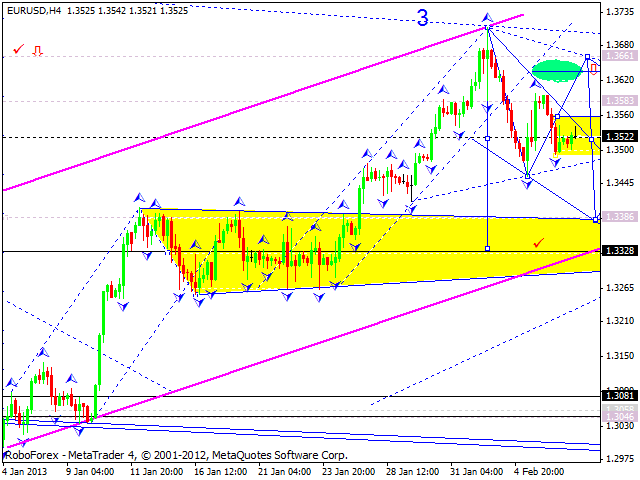 I think today the price may leave this trading range upwards and start a correction towards the level of 1.3330. However, the structure of the first descending impulse implies that the price may move upwards a little bit to reach the level of 1.3660 and only after that start a new descending movement. 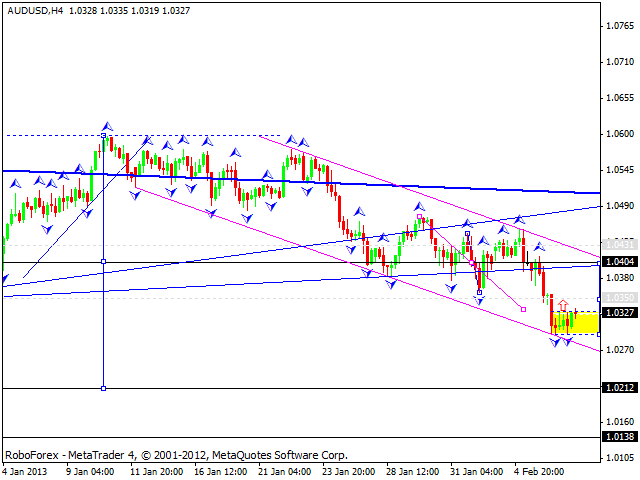 The GBP/USD currency pair continues consolidating near its minimums. I think today the pair may form any type of reversal pattern to start growing up and break the latest descending channel. 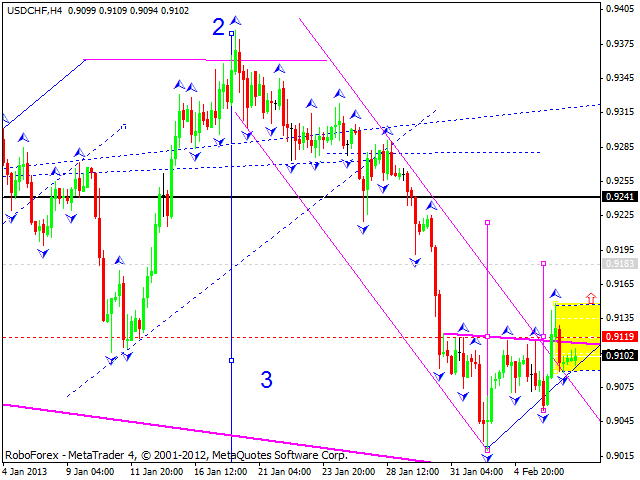 The USD/CHF currency pair formed the second ascending impulse. I think today the price may start a consolidation to break the level of 0.9100 and then continue growing up towards the target at 0.9175. 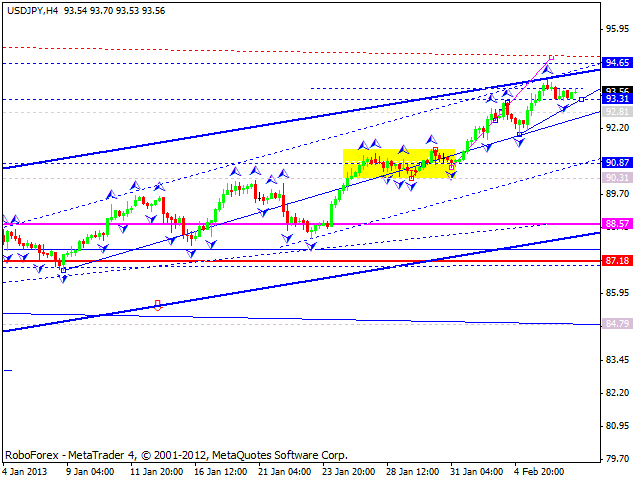 The USD/JPY currency pair continues moving upwards. I think today the price may consolidate for a while at the current levels and then continue growing up towards the target at 94.65. Australian Dollar is still consolidating near its minimums. I think today the pair may grow up towards the target at 1.0400. 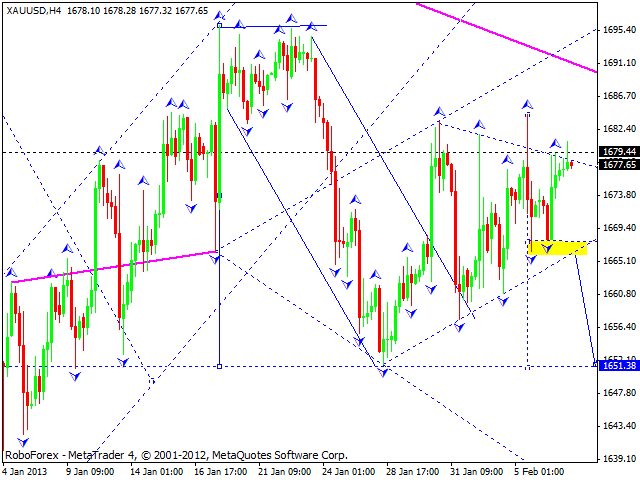 Gold continues moving near triangle’s upper border. 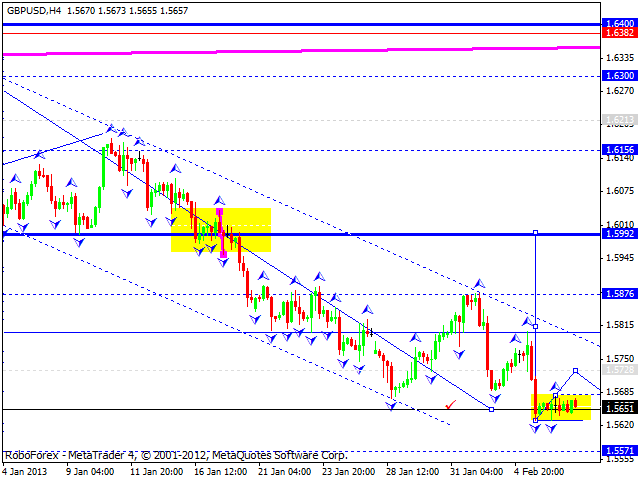 I think today the instrument may fall down towards the lower border and even reach the level of 1650. Later, in my opinion, the price may start forming a new ascending wave towards the target at 1707.